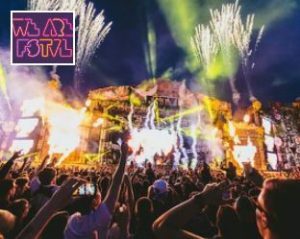 We Are FSTVL is one of the UK’s premier dance music festivals, showcasing a top-tier line-up of house, techno, drum and bass and more mainstream dance on its self-proclaimed Airfield Dreams on the border of London. Joined by some of dance music’s best promoters, such as UKF, Hospitality, Circo Loco, Paradise and Used & Abused, the weekender has played host to more shining lights than we can name since its inception in 2013. 2018’s edition will see sets from the likes of Andy C, Carl Cox, Eric Prydz, DJ EZ and Marco Carola.